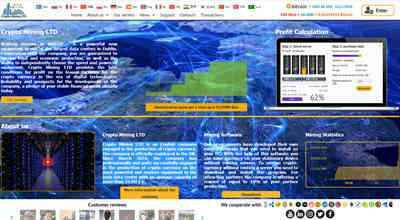 РЎrypto Mining LTD is an English company engaged in the production of crypto currency. The company is officially registered in the UK. Since March 2016, the company has professionally and quite successfully engaged in the production of crypto currency on the most powerful and modern equipment in the Irish data center with an average capacity of more than 32 PH / s.
The amount of 3.43 USD has been deposited to your account. Accounts: U16096413->U12158848. Memo: Crypto Mining LTD. Date: 07:40 12.12.18. Batch: 239319097. The amount of 3.41 USD has been deposited to your account. Accounts: U16096413->U12158848. Memo: API Payment. Сrypto.. Date: 15:21 13.12.18. Batch: 239464779.
aNext payment!The amount of 11.45 USD has been deposited to your account. Accounts: U16096413->U2917300. Memo: API Payment. Сrypto.. Date: 08:34 18.12.18. Batch: 239894327. Page generated in 0.2731 seconds with 14 queries.